Talking to people after the festival, many have mentioned the Sunday readings by Inua Ellams, Sarah Howe and Kei Miller as one of their highlights. These three major poets are all associated with The Complete Works, a national development programme for advanced Black and Asian poets. “Saxaphone!” someone called out next. “St Paul’s Cathedral!” and amazing poem followed amazing poem. “Serenity!” came the cry and, for a moment, the poet looked crestfallen. “I don’t really write about serenity……” However, within seconds, he’d found a poem about the earth. Howe’s set ended with a beautiful reading of her poem Crossing from Guandong about the first time she had visited mainland China and the province where her mother was born. In the absence of a recording from the festival, here is the poet reading the poem in a Harvard University Tedx Talk. 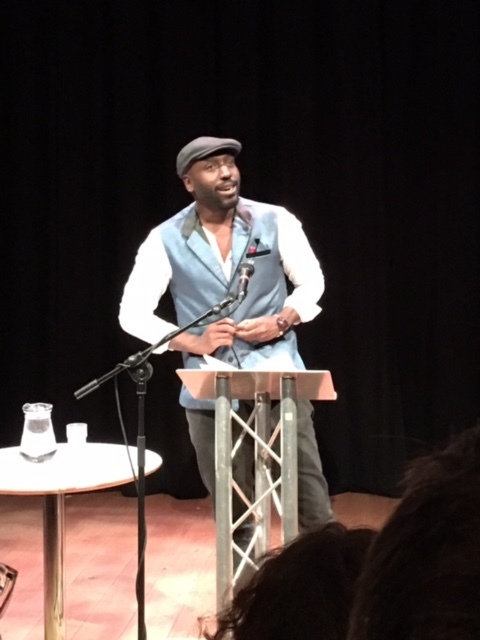 Finally, Kei Miller read poems from his collection A Light Song of Light, moving many people to tears with a poem about his father – “it’s easy to write about people who’ve died but we should be writing about other people who deserve to be written about” – and telling the audience “You people are amazing. You had a law about mermaids. When you find a country that had a law about mermaids, you have to write a poem about it.” Again, no recording from the festival but, as luck would have it, here is Miller reading the poem in a Next Generation Poets film. 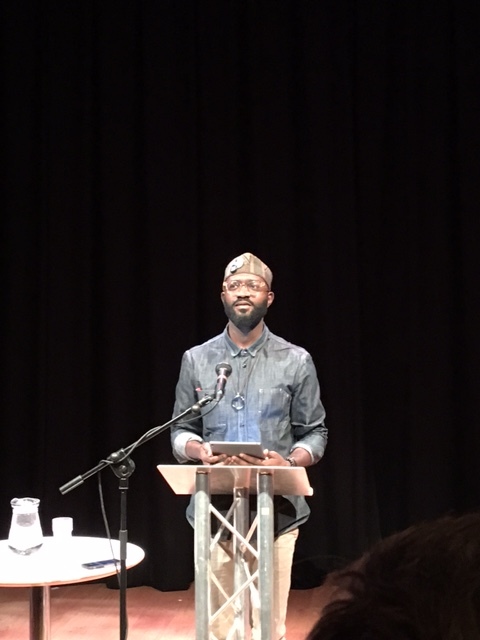 Kei Miller, Inua Ellams, Sarah Howe highlight of @WinPoetryFest. Sensuous, & embodied. When Kei read I thought I'd died and gone to heaven. Two amazing readings heard today at @WinPoetryFest : Ellams, Howe and Miller memorably + Tim Dee, Roger McGough on fine Poetry Please form. 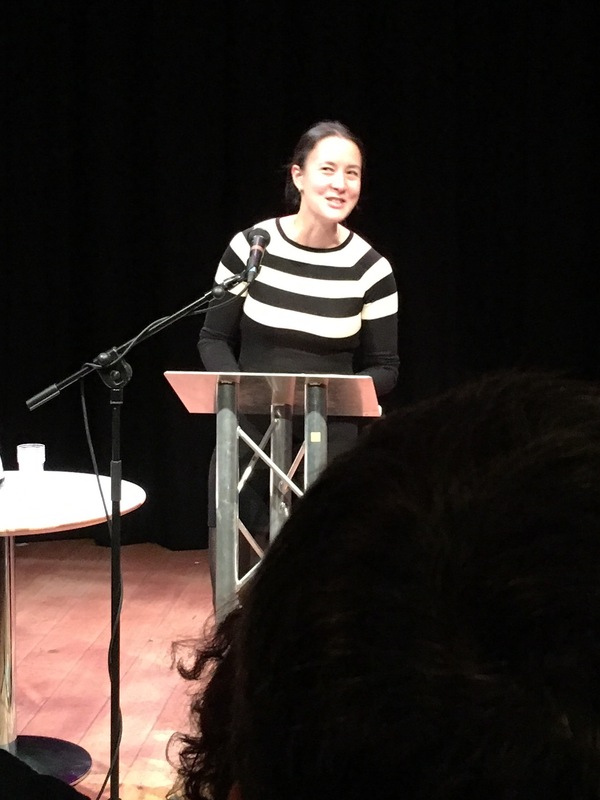 Please let me know if you were at the festival and also enjoyed these readings and leave a link to your blog if you’ve written about it there. I totally agree. These three were the highlight of the festival for me! I have loved following your blog Josephine – very insightful. You are welcome, the praise is well deserved. Looking forward to your reading at December’s Loose Muse Winchester. Thank you so much. I’m looking forward to another visit to Winchester!